h2 Media Labs has worked with One World Futbol Project since early 2010. Initially, the project started with the goal of launching their website and the relationship quickly grew to utilizing all services h2 has to offer. 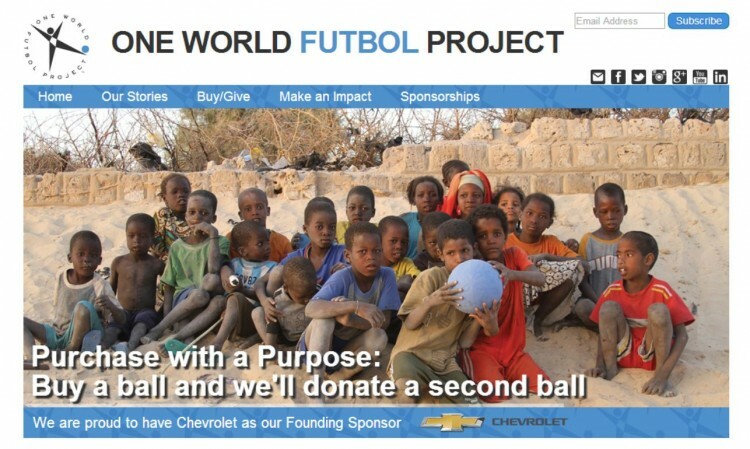 As One World Futbol Project grew, so did our business relationship. Our work with One World Futbol Project (OWFP) is a prime example of our mission statement at work, we aim to support business from conception to market and beyond. h2 Media Labs has become the full service provider for all of OWFP’s marketing needs over the last 3 years. The projects we work on span all services, from Web Marketing, Website Design, Collateral Creation, Custom Development and Video Production. The custom development work we did for OWFP centered around business solutions, automating many operations and expanding their eCommerce capabilities. OWFP had a unique need: they wanted to be able to give a ball to a ‘giving partner’, list the partners and receive a dashboard on how each giving partner program was performing. We were able to accomplish this and integrate two different fulfillment programs (domestic and international) into a seamless user experience for those who want to give soccer balls to disadvantaged communities such as refugee camps, war zones, disaster areas and inner cities. h2 Media Labs, has reached the ultimate goal of assisting in the growth of One World Futbol Project. They have grown 100 fold since the launch of their first product and as businesses grow they reach the stage where they are able to hire and bring service internal. Because of our efforts, the internal team at One World Futbol Project has grown and our goal is to ultimately hand over all marketing efforts to their internal team and consult as needed. For us this is a success, we have helped One World Futbol Project in pivotal roles and nurtured the growth of their business. One World Futbol Projects mission is a bold one and we are proud to have been a key component of why they are successful.